The term Ubuntu has come to signify unity for many and it is one I gravitate to. A South African ideology, it focuses on people’s allegiances and relations with each other. I am sure, some folks will find it hard to reconcile how it relates to fashion but fashion is art and art, is an intrinsic part of society. As such, there is no better way to bring people together and celebrate Africa and its many artistic creations. 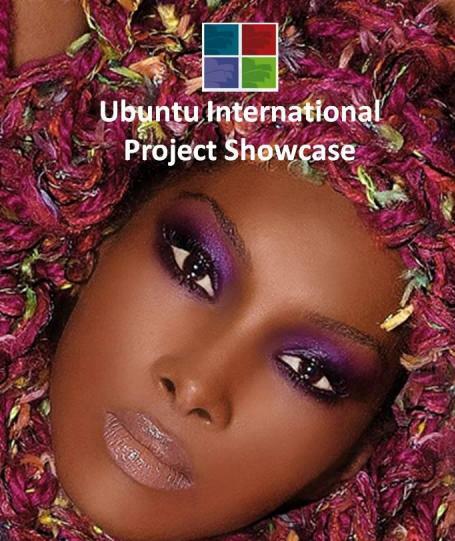 Among those showcasing their collections, Clinton Lotter is a continuation of the inaugural Ubuntu showcase. His collection subtly references the Ndebele South African tribe and European Art Deco. Kevin Friedman from Frankli Wild™ jewelry depicts a lifelong fascination with the distinctive arts and crafts of South Africa which has proven invaluable as an inspiration for his work. He has also been involved in meaningful community development projects with local crafters. Recognition of his work followed when his well known Ndebele bead and diamond choker, modelled by Charlize Theron, garnered Kevin a “De Beers Diamond International Award” in 2000. “The reason we have chosen these designers is that they represent the new African signature that is coming through,” says Errol Hendrickse of Ubuntu. “Within their work traditional influences are evident along with a specific heritage aesthetic that translates as a brilliant new fresh aesthetic”. Theo Omambala, creative director of Ubuntu adds, “The vision at Ubuntu International Project is to establish a design led aesthetic that is not geographically confined but “an intelligent, creative design led bridge linking Africa and Europe.” Mr Hendrickse and Ms Omambala, started Ubuntu International Project two years ago as an initiative seeking to develop talent from emerging markets across the globe. “We realised there was a gap within the market in terms of a innovative African design aesthetic,” says Hendrickse, “The world is desperate for a “new design aesthetic that has depth and meaning, that is relevant to today’s conscious consumer” stipulates Omambala, “as everything is so diluted on the global creative stage” concludes Hendriske. It is also time to show what Africa can offer the international world of fashion. The long term aims and objectives are to engender sustainable employment structures in Africa. This entry was posted on Sunday, February 19th, 2012 at 3:50 am	and is filed under Africa, African Diaspora, Art and Culture, Fashion. You can follow any responses to this entry through the RSS 2.0 feed. You can leave a response, or trackback from your own site.